How do I install a extension? Extensions are released as ZIP files, so there is no installer to run, all you need to do is unpack the file. 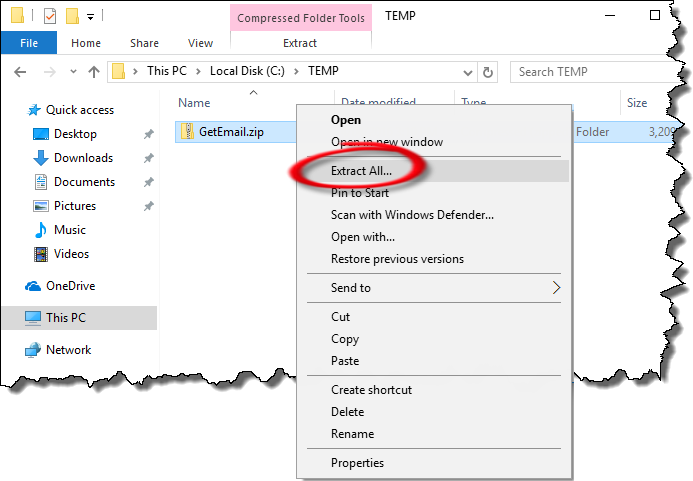 After you've download the file, right-click on it in Explorer and choose "Extract all". Then choose where you want to unpack the files. Each extension should be unpacked into its own separated folder. 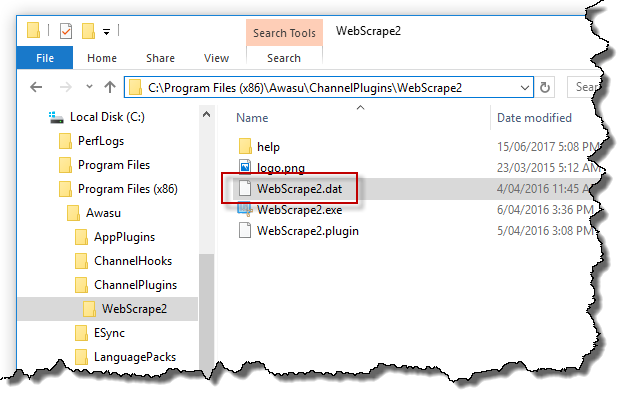 The recommended location is in a sub-folder under the ChannelPlugins or ChannelHooks folder in the Awasu installation folder e.g. 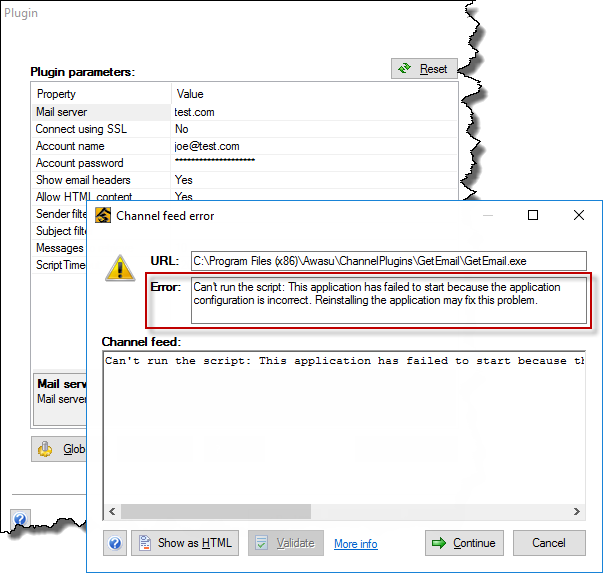 C:\Program Files\Awasu\ChannelPlugins\. If you are getting a "Can't run the script" error, you probably don't have the VS 2008 runtime installed. Download and run the installer from this page, then try again. Extensions require at least Awasu 3.1 and Windows 7 or later. How do I create a channel in Awasu? 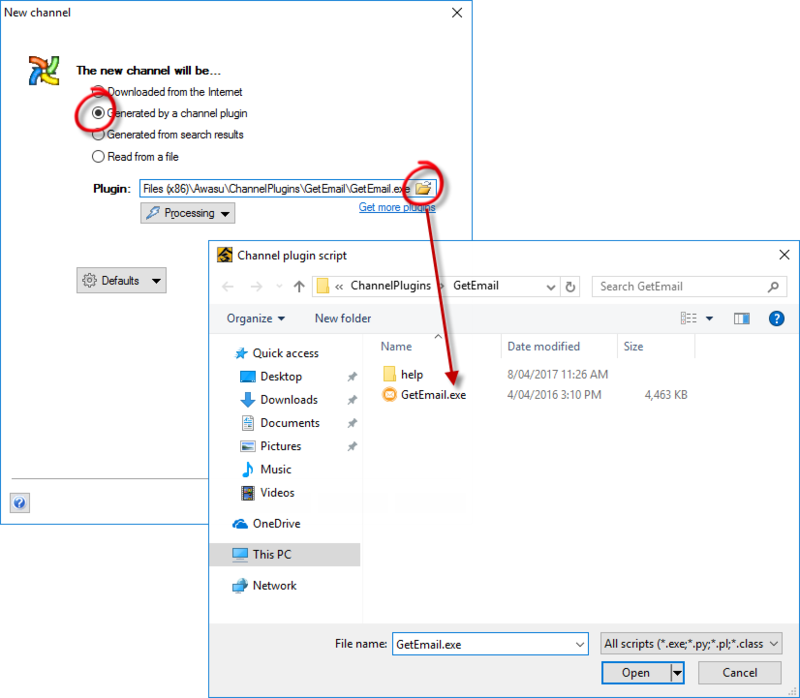 In Awasu, choose "New channel..." from the File menu, to start the Channel Wizard. 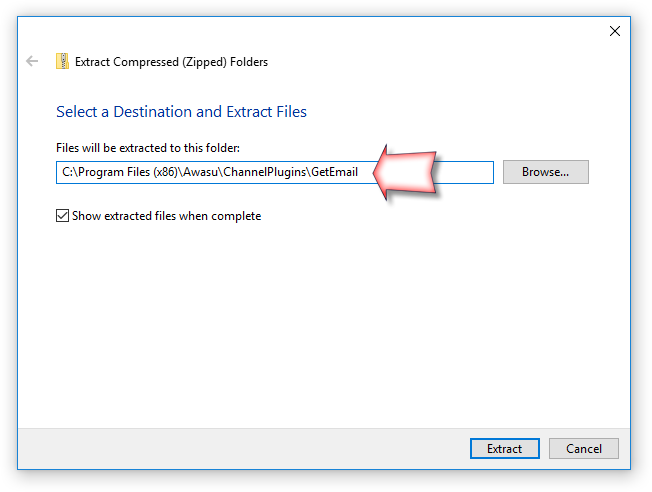 Then choose "Generated by a channel plugin", and browse to where you unpacked the ZIP file. To get detailed help on using the plugin, click on the "Info" button. If you purchased the plugin, you will have received a license file, which should be saved in the same directory as the plugin itself.